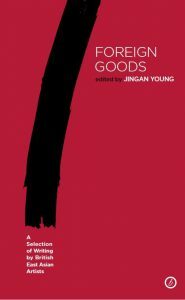 January 19th is publication day for Foreign Goods, an anthology of dramatic texts from selected British East Asian writers including myself, Kathryn Golding, Cathy Lam, Lucy Chau Lai-Tuen, Tan Suet Lee, Julie Cheung Inhin, Stephen Hoo & editor Jingan Young. 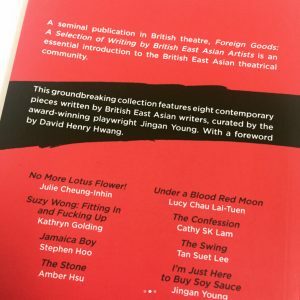 The volume also contains a foreword by the acclaimed Asian-American playwright David Henry Hwang. 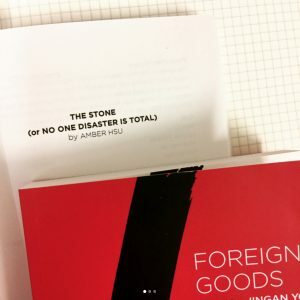 The anthology contains my short play The Stone (or No One Disaster is Total) which was originally commissioned and performed by the Royal Court Theatre and then subsequently performed in the Foreign Goods Last Forever II showcase at Theatre 503. The piece was selected for the anthology along with several other pieces that have been showcased at the Foreign Goods productions. 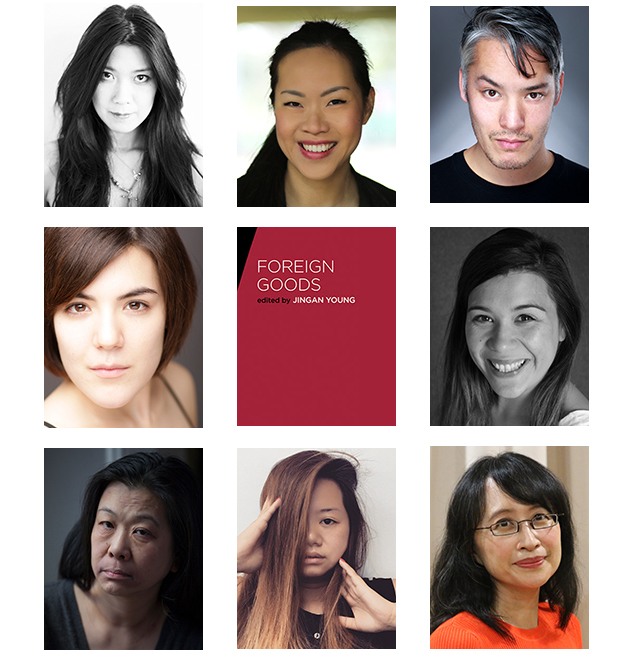 There will also be a Panel & Launch on Thursday February 1 at Asia House Arts @asiahouseuk with myself Amber Hsu (! ), Lucy Chau Lai-Tuen, Kathryn Golding, Suet Tan Lee, Stephen Hoo, Julie Cheung-Inhin, and editor Jingan Young. 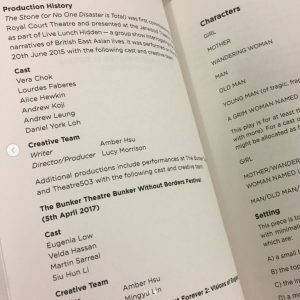 Tagged asia house, asian artists, british east asian, drama, Foreign Goods, new writing, oberon books, theatre.